Another weekend, another adventure! 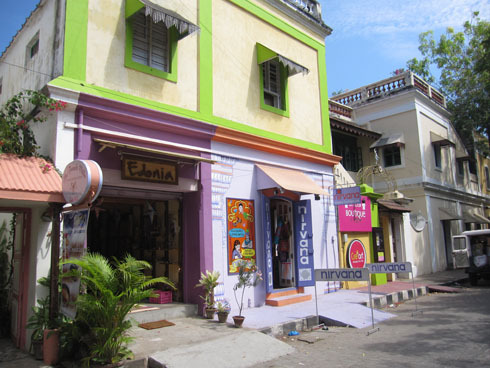 This time we headed to the south east coastal town of Pondicherry – currently my favourite place in India. We opted for travel by overnight bus again, which is usually pretty cosy not to mention cheap and convenient (transport and accommodation for about $20? Excellent!) 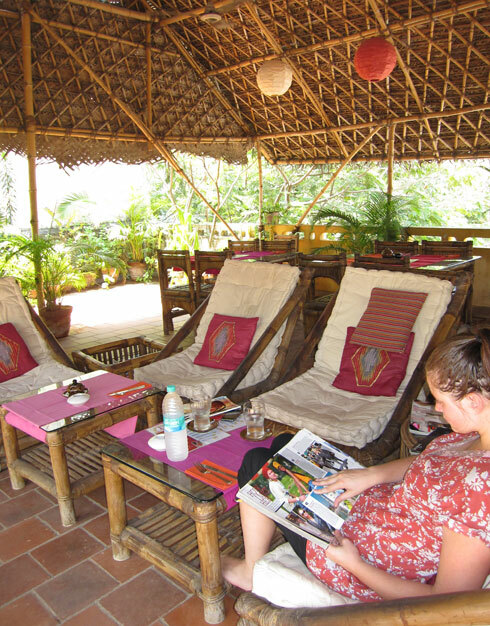 The only negative experience so far came from the Bangalore to Pondicherry leg – snorers. In particular a loud, snorty-snortison snorer. All night. Right opposite us. Oh well, luckily for us the lovely hosts at the guesthouse we were staying at showed us right to our room when we arrived at 5.30am and we managed to catch up a bit before we ventured out for the day. We stayed in the French Quarter which was lovely and quiet; the streets wide and tree lined, with vibrantly coloured houses hidden behind gates adorned with pretty flowers. And a bicycle propped outside for maximum effect of course. Charming! 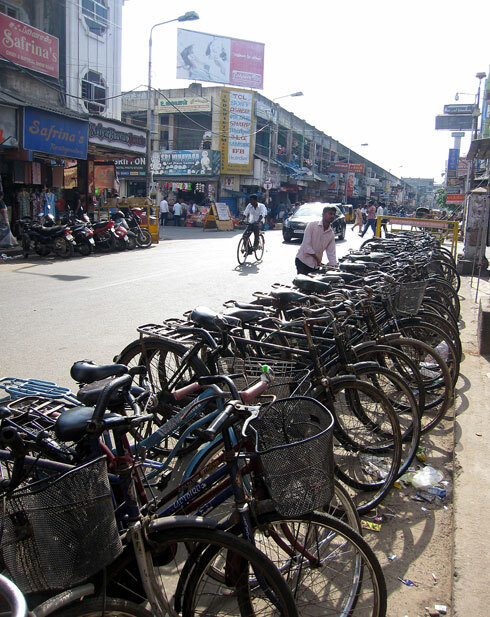 There are plenty of places to visit on the outskirts of the town of Pondicherry, including some temples, beaches and Auroville (a fascinating ‘universal township’ where more than 2000 people from 45 nations are currently building a harmonious city-in-the-making in what is described as ‘an experiment in human unity’. ) But we didn’t venture any further than where we could walk as the pace for the weekend was an intentional slow down, a time to recharge. We wandered the peaceful streets in the French Quarter, stopping to browse (and buy) in the funky little boutique stores and for brunch or coffee in the tucked away garden cafes or rooftop restaurants. 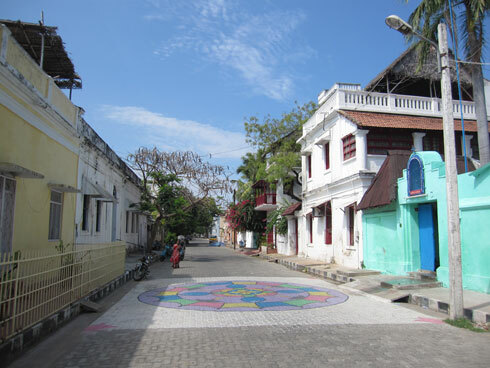 We then crossed over the canal which divides Pondicherry from north to south into the French Quarter by the coast and the Tamil Quarter to the west. The other side of the canal was a different place altogether – bustling is the kindest word. People-congesting, car-tooting, bike-hooning, canal-stinking would be a few of the less so! The comparison between the two quarters really highlighted the chaos of India, just in case we’d gotten so used to it we’d forgotten (I had). But I have to admit, it reminded me again why I love it. It sounds like mayhem, and it is, but it’s energetic, life living, peace-in-the-chaos sort of stuff. Hard to explain, but it makes me walk around with a smile on my face. 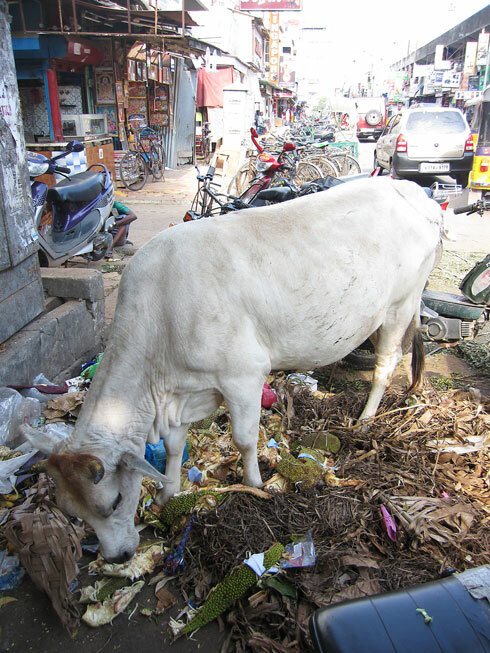 Yes a motorcycle is trying to run me over because I’m in the way on the footpath, yes there is a gaping hole where the footpath should be, yes a cow is standing on the road eating a pile of rubbish. But standing in the middle of this scene is awesome. It’s witnessing life unravelling for a billion people in front of your eyes, people that don’t even blink at any of this stuff. You just shut up and appreciate it. 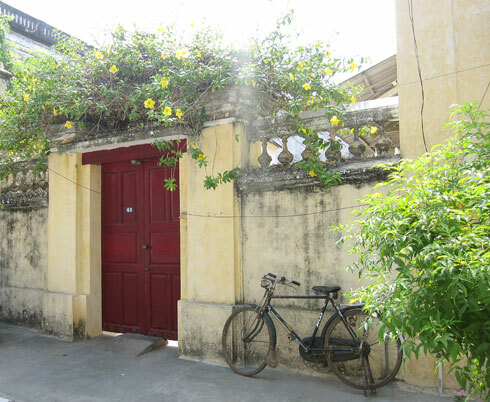 That being said, it was really humid in Pondicherry, and even more so away from the coast, so I admit that on more than one occasion Alicia and I shared a look of sticky exhasperation and agreed to go back to France… where there’s quiet. And cheese. And air con. Just for a few hours. 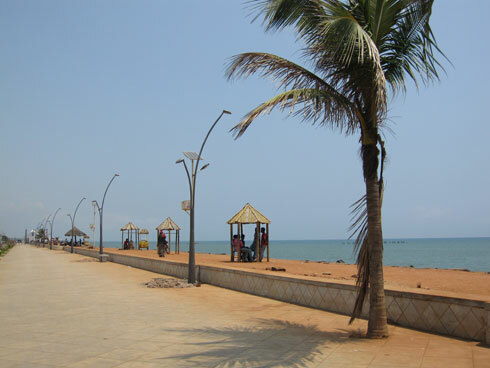 One of the highlights of Pondicherry was the walk along the promenade. The whiff of a salty sea breeze again was bliss, and the path itself provides a lovely, cool, vehicle free 40min walk alongside the Bay of Bengal. During the day the promdenade was really quiet, our only company were the street sellers. 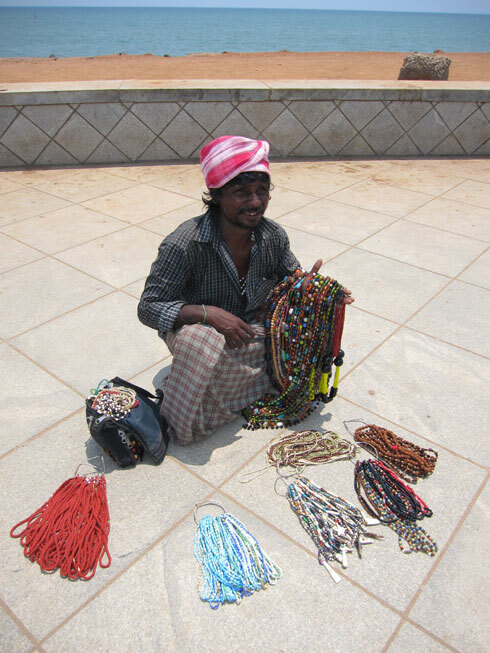 We consistently shoo-ed away the bongo and paper fan sellers, but when the glass bead man approached us he had us immediately. All those pretty coloured strings of glass sparkling in the sun, how could we resist? Besides, those things must have weighed a tonne and so we didn’t mind helping to lighten his load as he walked up and down the promenade in the heat and humidity :). 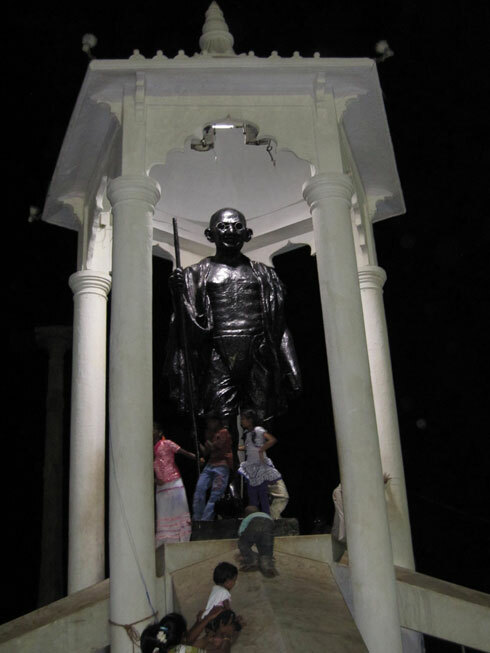 At night the promenade was teeming with Indian families out for a walk, or watching the free stage show, taking photos of the kids climbing all over the Gandhi statue, eating food from the street vendors. It had a great seaside holiday vibe to it and it was really enjoyable to walk along and watch everyone having fun. 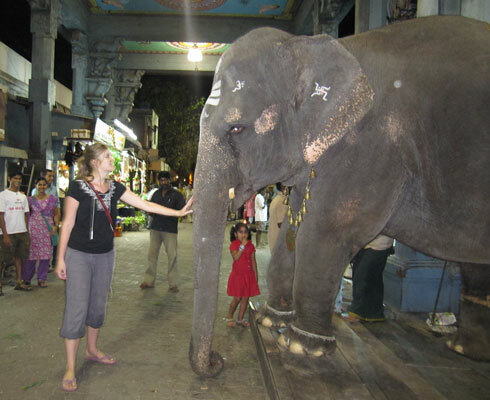 While visiting the Ganesh Temple we met Lakshmi the temple elephant who is considered a living God and is responsible for blessing people that come to the temple (well, only after they have given her a coin or some food!) I took my opportunity and recieved my blessing and then had a little tête-à-tête with her, she was lovely with gorgeous eyes. 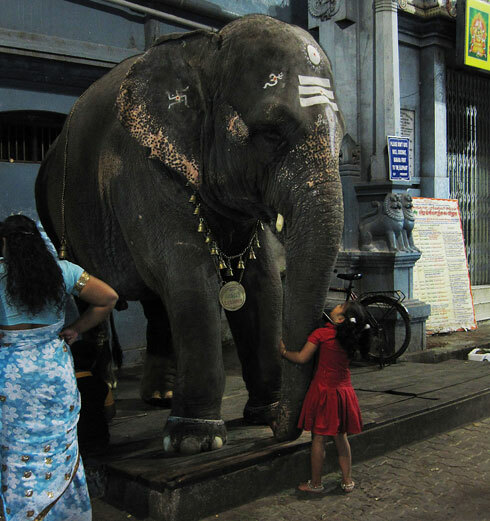 Although I felt quite comfortable around Lakshmi after watching her gentle interactions with the other passer-bys and gift givers, I was still amazed to see a little girl jumping all over her with the ease and happiness that I’m sure only a little girl would have! She was insistent on getting a cuddle and she got one. It was very sweet to watch. We also took the opportunity to visit the Aurobindo ashram in Pondicherry while we were there and attended a collective meditation at dusk. 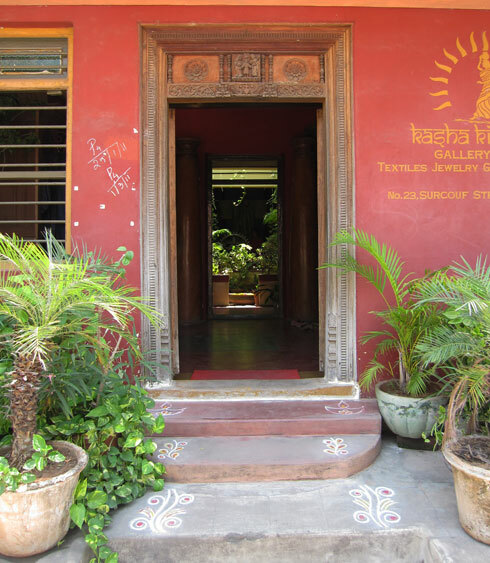 It was a very peaceful experience as we sat outside in the courtyard while the sun set around us, and ashramites and other meditation attendees lit incense sticks and and gathered around the samadhi (shrine to the ashram founders). It was a silent meditation signalled by some ringing gongs at the beginning and end. We were there 50 minutes though it felt like half of that – it was a wonderful way to finish our relaxing weekend before we had to get the overnight bus back to Bangalore. On that note I’m happy to report that the bus ride home was snore-free and we made it back fairly well rested and ready for another week of work, made easier with another weekend away on the horizon, which you’ll hear all about next time!